Lives were saved and dreams came true in our April “In the Moment” posts. We invite you to take a glance at those you may have missed, or a second peek at those you’ve already enjoyed. 1. 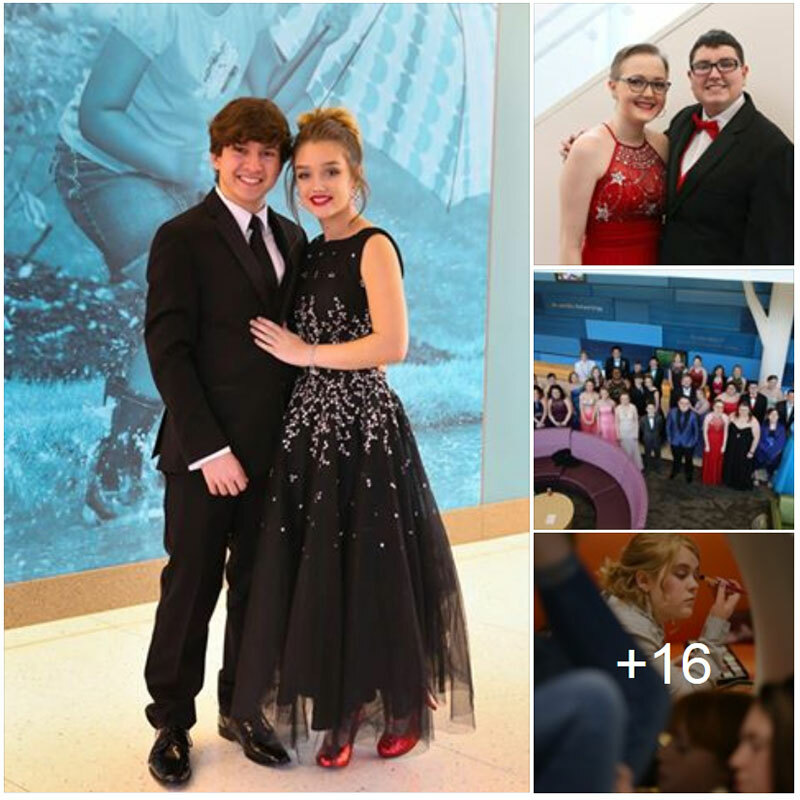 Although these teens have cancer in common, it wasn’t center stage them at the all-expense paid A Prom to Remember OHIO. 2. Isn’t little Isabella Montgomery lovely? 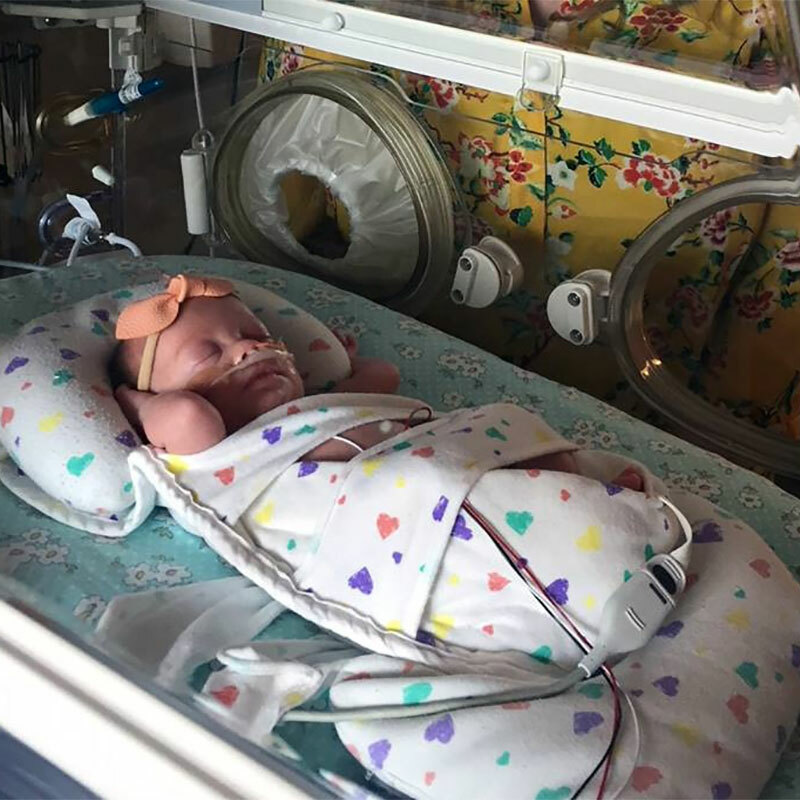 Born at 27 weeks gestation and weighing 1 lb., 7 oz., she’s making progress every day in our Neonatal Intensive Care Unit (NICU). According to her mom, Tiffany Suzanne Montgomery, Isabella is expected to be ready to go home by late May. 3. 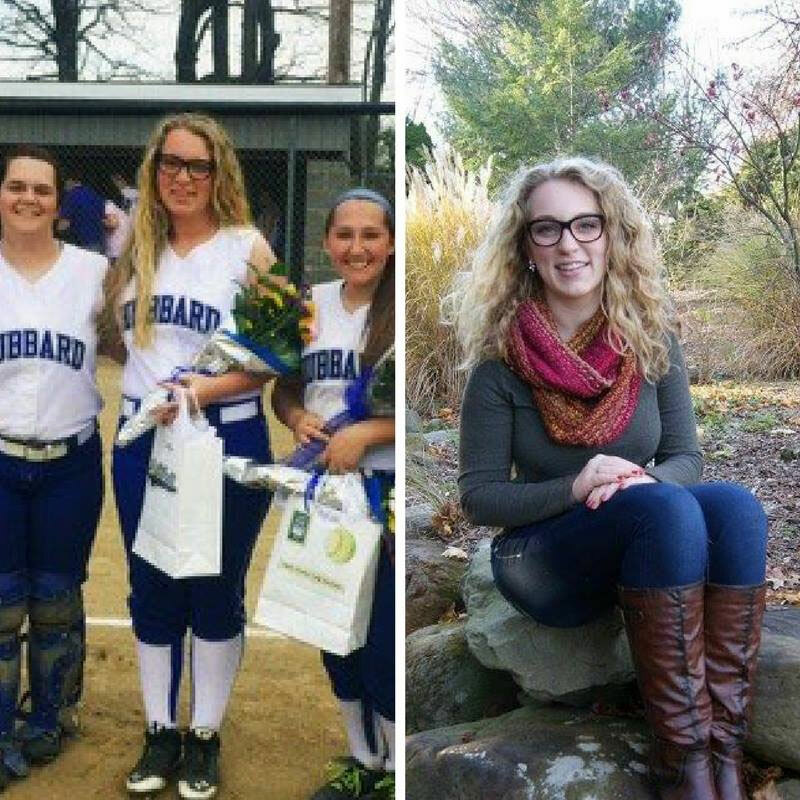 The medical care for 17-year-old Courteney Boyle has been complex since she was born with an underdeveloped brain stem. 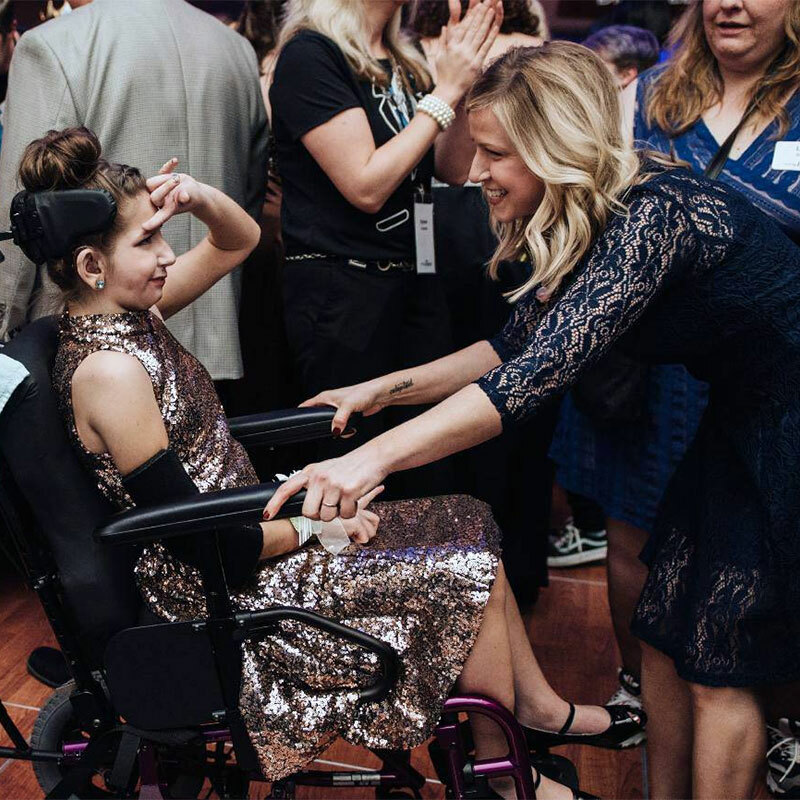 She’s achieved several milestones and is even a “trailblazer” as the first person to complete the 19.3-mile Disney’s Fairy Tale Challenge in a wheelchair. 5. If you’ve followed us a while you’ve heard about the common, unsafe sleep position that took away 2-month-old Molly. Now, Meagen Gries’ touching letter has been read by thousands on SheKnows. 6. 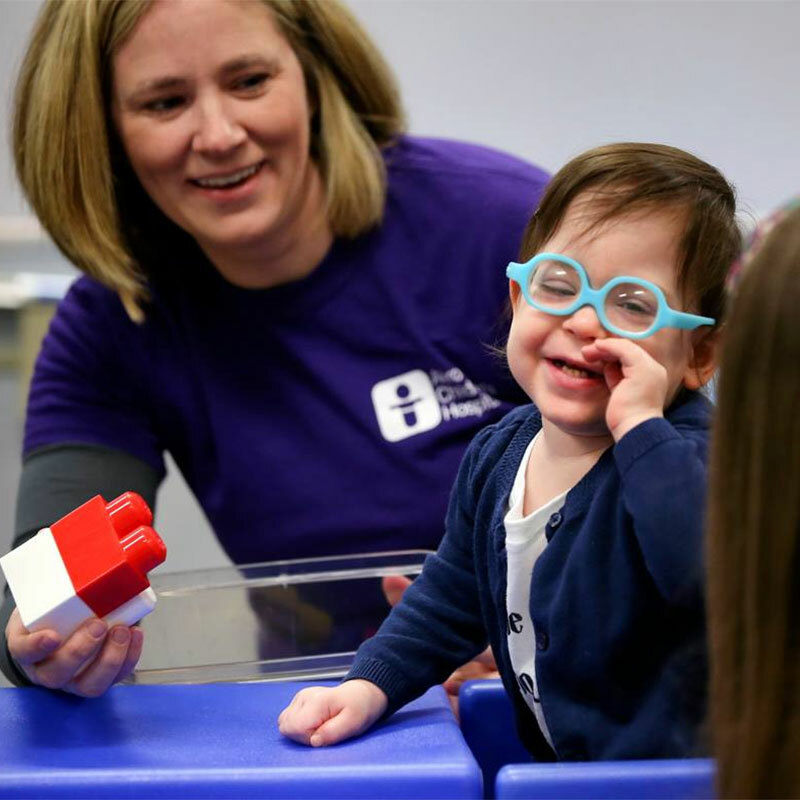 For 28 years, Dr. Jeff Kempf has cared for children in our Akron ER as if they were his own. 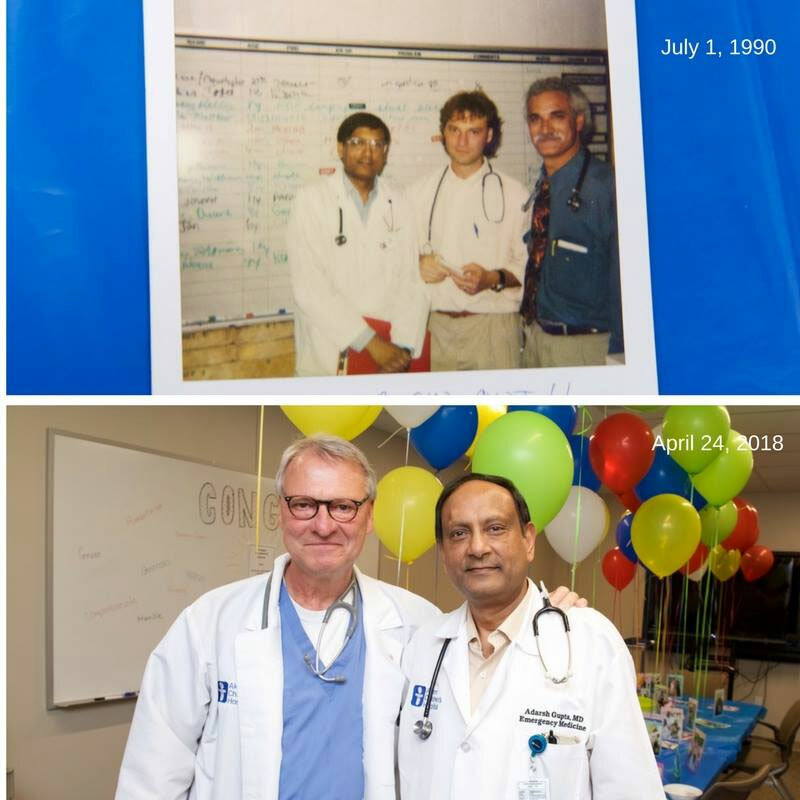 He is retiring from the ER but will continue to lead the Global Health team on part-time basis. 7. Some bunny made sure our patients and their families had the chance to enjoy a bit of springtime cheer. 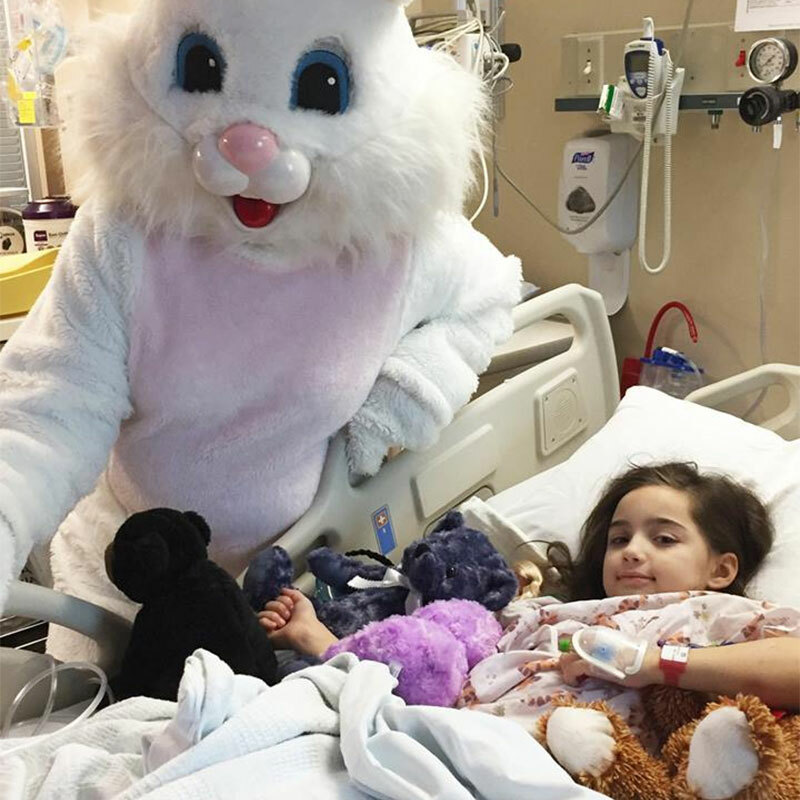 The Easter Bunny made his annual visit to Akron Children’s Hospital. 8. Riley Osborn is the amazing “girl who lived,” say her parents. They had to kiss her twin, Finley, goodbye at birth. Now, they celebrate every goal Riley achieves despite a brain bleed and cerebral palsy. 9. 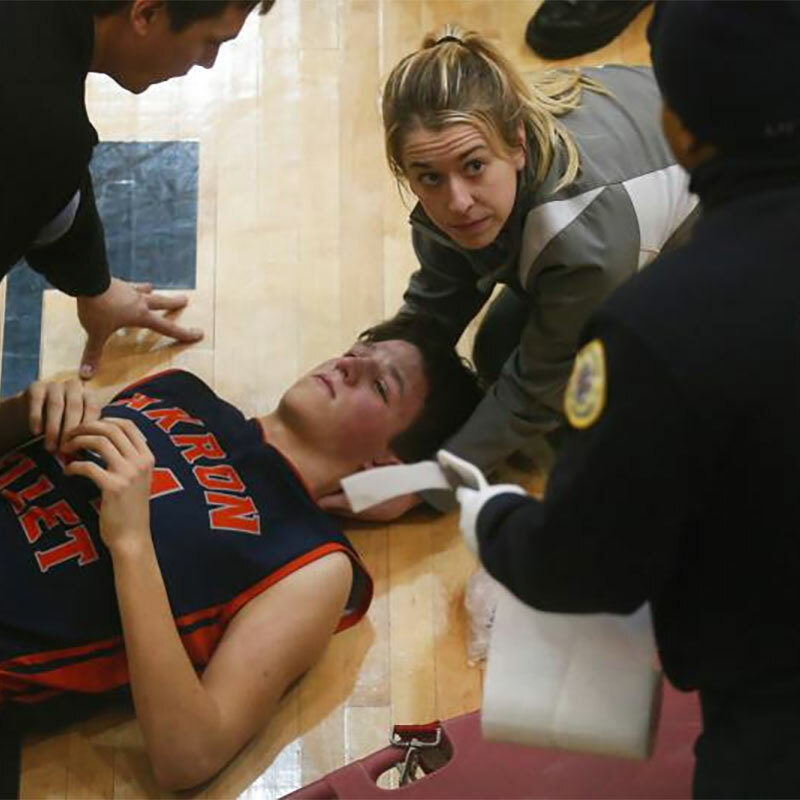 The wild throw nailed Gabriella Hosack hard in the back of the head – so hard it knocked her unconscious and gave her whiplash. 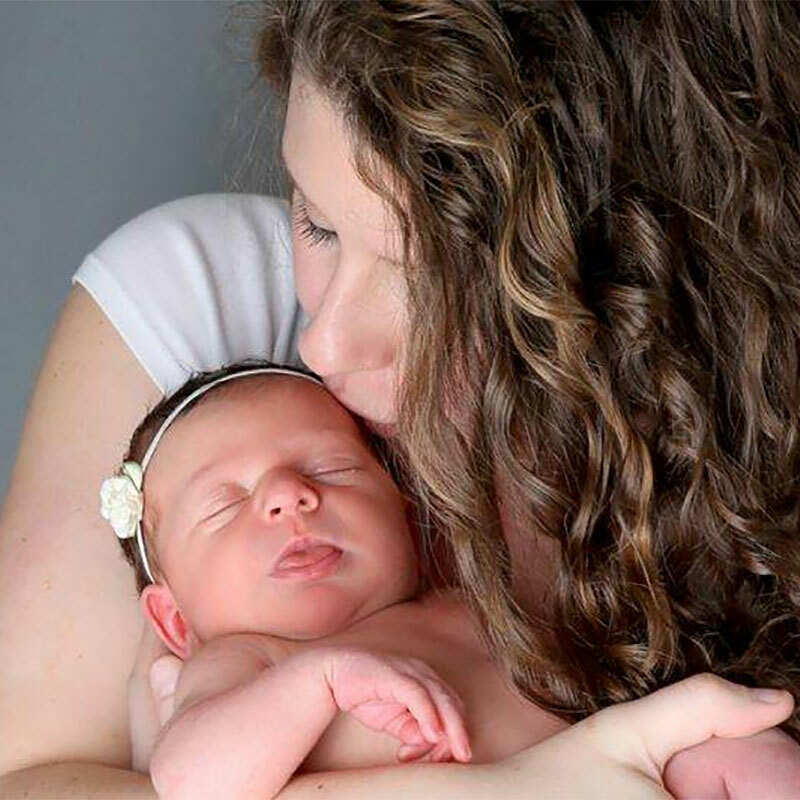 That was just the beginning of medical problems that tormented Gabriella for 4+ years. 10. 4-year-old Kaleia finishes 2.5 years of chemotherapy for leukemia! 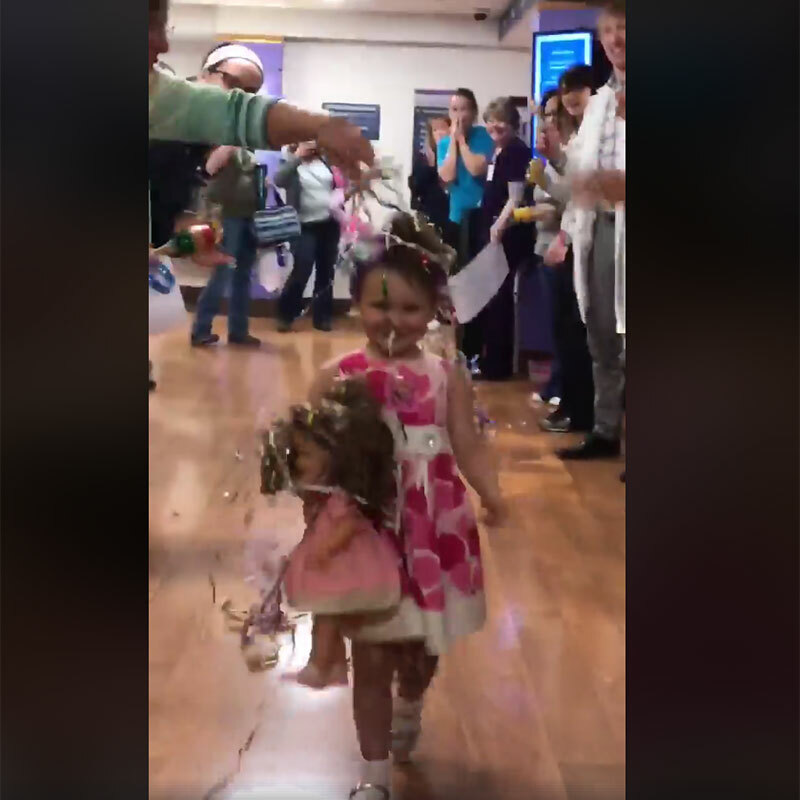 Watch her surprise, end-of-treatment party with staff!